We all ssumed when the Nook Glow launched a few weeks ago that it likely had a different set of guts from the earlier model, but it wasn't until today that we knew how different. 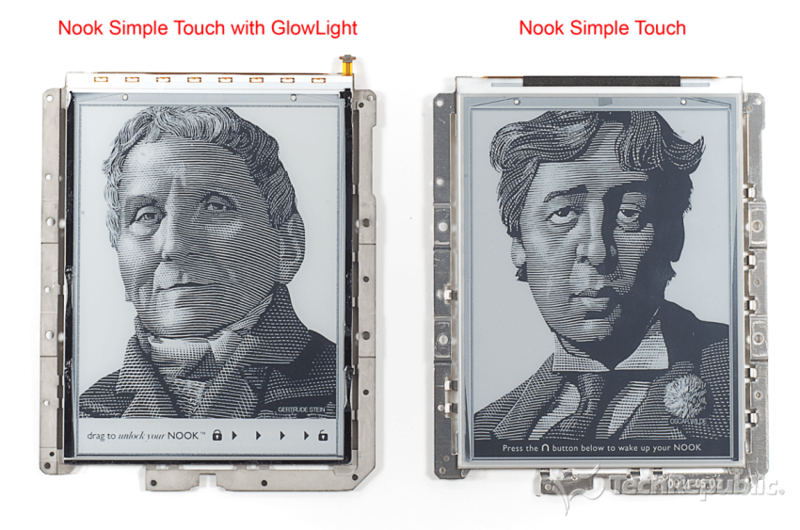 Tech Republic cracked open their Nook Glow and it turns out that it's not nearly as different as I thought. While the Nook Glow weighs half an ounce less than the Nook Touch, it turns out than the savings didn't come from a weaker battery or redesigned circuit board. 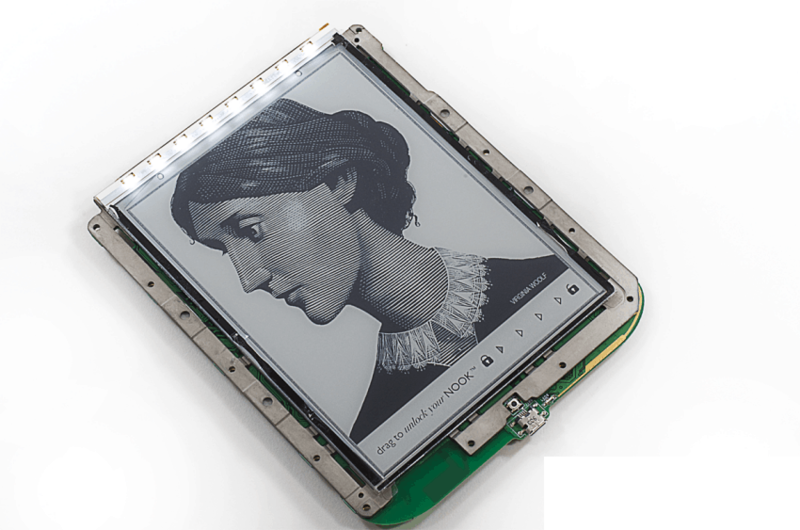 The battery is the exact same model as the one found in the Nook Touch, and the shell is also identical. Even the circuit board is almost identical (here's the teardown of the original Nook Touch for comparison). The one key difference between the 2 devices is the frame. The Nook Glow weighs less because it has a lighter metal frame than the one supporting the Nook Touch. 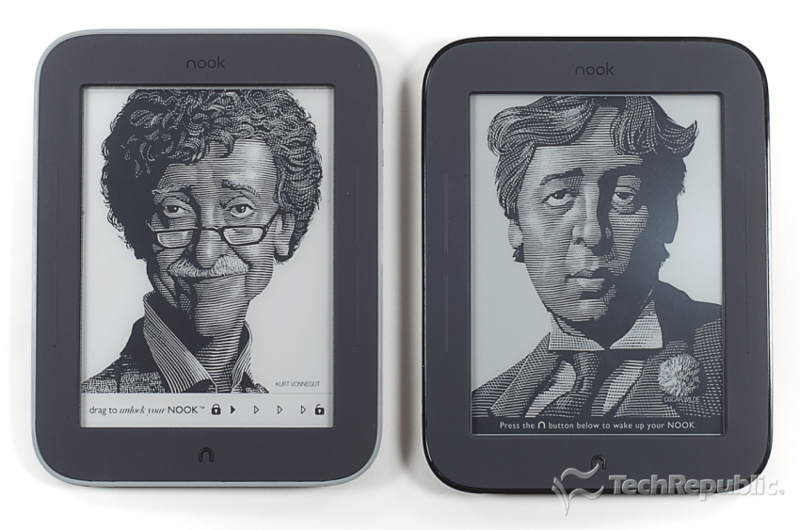 According to Tech Republic, the Nook Glow has a magnesium frame while the Nook Touch appears to have an aluminum frame. It's surprising how much that can change the weight, isn't it? And it's not likely to affect the durability, either. If there's one thing that I've learned in my years as a blogger it's that most broken screens happen when you least expect it and often when you cannot explain how it happened. What's more, there are magnesium alloys out now which are stronger than aluminum, so the Nook Glow might even be more durable than the Nook Touch.